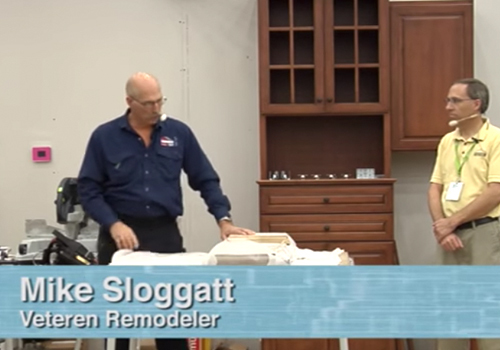 Keystone’s Steve Messner and renown home remodeler Mike Sloggatt demonstrate the quality, convenience and versatility of our RTA Cabinets which are built with the Cabinotch® Cabinet Box System. Order your RTA Cabinets with Keystone doors, drawer fronts, drawer boxes, moulding and more. It’s virtually all you need all in one place. To learn more, visit our Keystone RTA Cabinets page.